The 6U WILDSTAR Data Storage Solution features up to 64 TB storage depth, plus additional depth and bandwidth capacity using multiple Cards. One Xilinx® Zynq® UltraScale+™ MPSoC ZU11 Motherboard Controller allows stand-alone operation, and supports multiple levels of hardware and software security. The Board has a rugged design and is available in industrial temperature grades. Optional air, conduction, air-flow-through, and liquid-cooled environments. 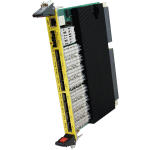 High-bandwidth backplane connectivity is enabled by MULTIGIG RT3 interconnects, which deliver 100Gb per Fat Pipe. 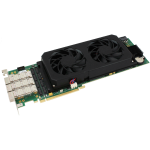 The 6SN0 is part of Annapolis’ growing Wild100 EcoSystem™, an interoperable portfolio of rugged high-performance 100Gb VPX COTS boards and systems.